Some days I have to admit that I *love* the unexpected content that arrives in my inbox! My modern day photography hero and heroine Trey Ratcliff and Miss Aniela are teaming up for a Midnight in Paris Photography Workshop, November 8th-9th 2012!!. Trey got me interested in a dSLR and HDR processing, Natalie (aka Miss Aniela) in “Clone” images. Despite the €1,950 EUR per person price tag I have no doubt at all the the dozen or so places they have will be filled very soon indeed! This afternoon I had another email update from the Lookbook.nu site with some fashion images. The emailed image got my attention with it’s gorgeous burnt orange, I then checked out a few others and found this beautiful princess dress, the photography making it look like it had come from a high end fashion magazine, the sort of image Trey and Natalie may be be shooting. On the last day of July I’d been shopping with Sophie when I spotted this young lad out with friends. He had his hair died blonde and combed up into what I can only describe as a flat top crown. His hair and clothes caught my attention, here was a lad who definitely had his own sense of style, what he was later to describe as “indie, hipster”. I gave Tyler my card and explained what I do, hoping that we could do a studio shoot. He’s the fastest ever to reply, I had an email from him when I returned to my PC that evening! Then work and home DIY projects took their toll and the weeks slipped by, we had to put a date in the diary to give ourselves something to aim towards. When I got to the studio today I found that Tyler’s blonde hair had gone, the school clearly has an issue with peoples individuality as they’d given him only a day to change it. I think that’s a real shame, his hair wasn’t in any way offensive. As requested Tyler had brought a number of outfits and shoes. We got to shoot a number of combinations, the two hours in the studio was gone in a flash! Sophie was along for both shoots today, she had a real giggle at her father trying to show Tyler some of the poses. Tyler, the “Blue Steel” reference (aimed at me) was from Ben Stiller’s character in Zoolander. Stay tuned for a few more images from the shoot and a MARKSE cover..
Dr Who is back! And with a bit of a shock twist. The Doctors new sidekick is introduced earlier than expected and fans are left wondering how things will go over the next few episodes. Jenna-Louise Coleman plays Oswin and already fan art is popping up on the web, the lads are admitting their love for her character and girls wanting to dress up as her at fancy dress parties. Gun slinging Lara Crofts will drop, geeky Oswin Oswalds will rise. No doubt #Oswin has been trending! If you have a business with public access and would like to showcase your services in this way get in touch via the 1stviewpanoramas site. If you have contacts with businesses that you think could also benefit from the service feel free to let them know. Each shoot takes between 1 and 2 hours depending on the size of the business. All faces and number plates are blurred out in the published images so you don’t have to have a totally empty location for the shoot to proceed. UPDATED: 19th August for clarity. Like thousands of other young girls my daughter became a big Tom Daley fan during the London 2012 Olympics. I’d seen a few brief interviews, some of his dives, the documentary, his Facebook page and have now seen him in action at a book signing. His reaction to an request from a fan that was denied by the team around him spoke volumes. He’s the real deal, a great person as well as a world class athlete. With an A* in Photography too! Sadly some of the people he relies on can let things down, hence this post in which I’ll make a simple request to anyone organising such an event. 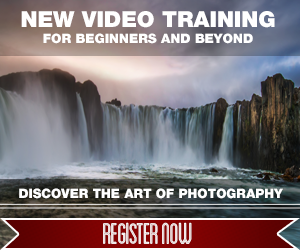 Trey Ratcliff, the man that got me back into photography, lauches new video tutorial. A number of years ago my wife called my into my daughters room to watch a program on the BBC about a photographer and his stunning HDR photography. I’d sold all of my film cameras, both 35mm and medium format a while before and Trey’s work helped make my mind up, a good dSLR was the future. A fish out of water? Far from it, a fish eye and LOTS of water! Here’s the results from my first “clones” shoot with a model, the lovely Lucy Cates. Given everything that had happened leading up to the shoot and on the day itself I’m rather pleased with it and looking forward to the next one!